As Armenian-American attorneys, one of the most effective ways we can make a difference in and serve our communities is to rate formally persons seeking appointment to the judicial bench. With this purpose, the Armenian Bar Association has undertaken the formation of a Judicial Evaluation Committee. The Judicial Evaluation Committee evaluates applicants seeking judicial positions in federal, state and administrative courts, and it seeks to identify and encourage Armenian American attorneys to apply for judicial positions. 2. Complete and submit the Supplemental Armenian Bar Association Questionnaire and Waiver Form. Interviews by the Judicial Evaluation Committee are conducted throughout the year. Once a request for judicial evaluation is made by the applicant, the Committee will contact the applicant to coordinate the evaluation process. As the Committee is comprised of volunteers, the applicant is encouraged to submit all application materials as early as possible. Upon completing the interviews and the related due diligence, the Committee, in its sole discretion, may submit the final rating to the Governor’s or other relevant office. All deliberations, including the final rating, are confidential. The Armenian Bar Association does not endorse candidates for judicial office. Rather, we evaluate judicial applicants by providing the appointing authority with our ratings. Applicants may be rated as follows: Exceptionally Well Qualified (EWQ), Well Qualified (WQ), Qualified (Q), Not Qualified (NQ), No Rating (NR) based on various factors including his or her integrity, fairness, legal ability, and demonstrated commitment to and knowledge of issues particular to the Armenian community. 1. 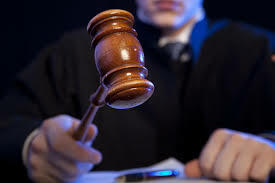 Excellent legal ability and writing skills, which may be evidenced by outstanding legal analysis and a distinct ability to deal with legal problems, by proven legal scholarship and publications, or by a reputation for the highest quality legal work and practice. 2. Applicant has a proven reputation of exceptional personal and professional integrity, civility and balanced temperament, including the facility to make difficult decisions in demanding situations. 3. Applicant has consistently demonstrated a commitment to equality and to access to justice. b. Potential for meaningful contribution to the bench. 1. Applicant has demonstrated a commitment to equal justice under the law. Such commitment and contributions may be evidenced by the applicant’s practice, personal and professional background, public-outreach activities including pro bono work, employment practices, mentoring and other support of Armenian-American attorneys and law students, or advocacy of legal issues important to the Armenian community, including active participation in efforts to protect the rights of Armenians. 2.. Applicant has experience or has demonstrated through scholarly writings, professional activities, or prior professional licensure, an in-depth knowledge of areas of legal knowledge and practice in addition to the discipline in which the applicant has primarily worked. 1. Applicant is a member in good standing of the California State Bar with no record of discipline. 2. Applicant has a reputation of integrity, good character, courtesy, common sense, and respect for all persons. 3. Applicant demonstrates respect for the law, for the judicial process, and for the dignity of the court. 4. Applicant is fair and has a reputation for fairness and freedom from bias against any group or class of citizens. 5. Applicant possesses the ability to make difficult decisions under stress. 6. Applicant has good legal ability and good writing skills. 7. Applicant has the temperament and experience appropriate to the judicial position for which the applicant is being considered. 8. Applicant has the ability to communicate clearly and effectively. 9. Applicant has the ability to command respect and has the energy and capacity for hard work. 10 Applicant has demonstrated satisfactory legal analytical skills regarding basic knowledge of constitutional, civil and criminal law as evidenced by the applicant’s work, professional experience, scholarly endeavors, professional writings or other such professional activities. 2. Applicant has failed to meet the mandatory criteria for a Qualified rating. 3. If the applicant has served as a member of the Armenian Bar Association’s Judicial Evaluation Committee within one year of his or her own application for rating. If you are interested in participating in, or being evaluated by the JEC or have any questions about our process, please email: JEC@ArmenianBar.org.